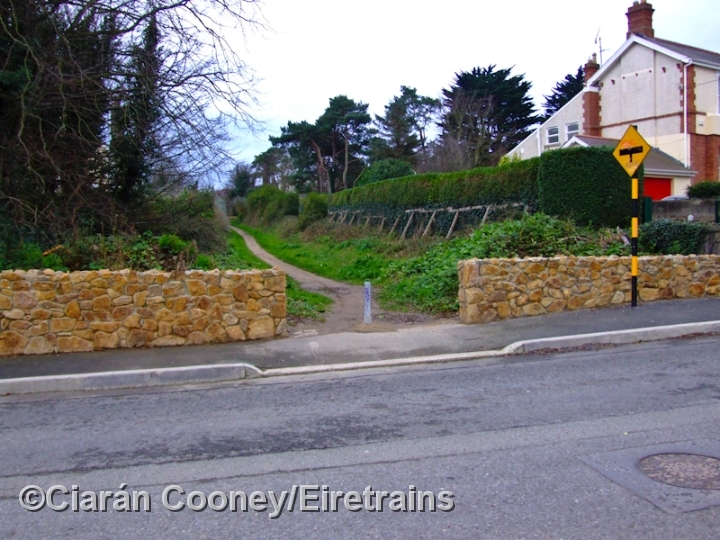 Dungriffan Road, Howth, Co.Dublin, was a stopping place on the Great Northern Railway's 1901 constructed Hill of Howth tram, which ran from Sutton Station to the well known harbour town of Howth. 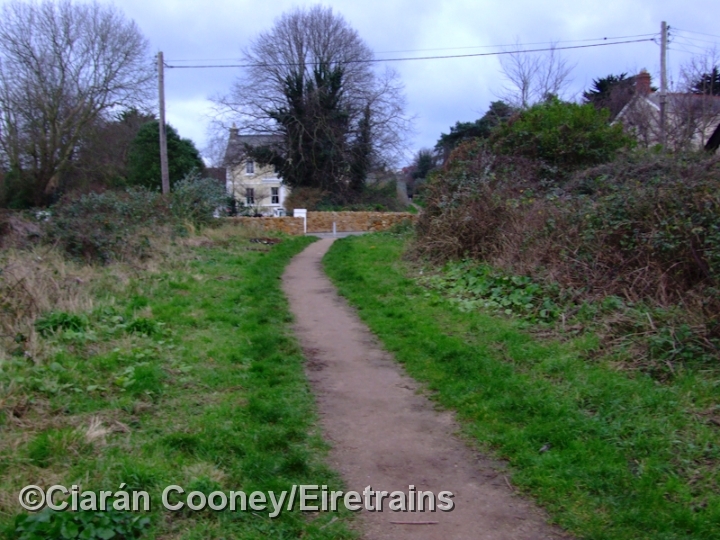 A passing loop and wooden waiting shelter was provided at Dungriffan Road, which is located just north of The Summit. 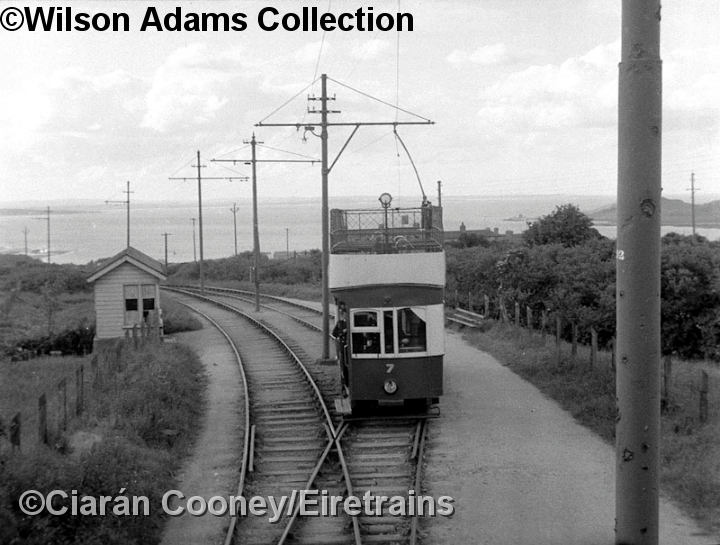 The Hill of Howth tram was taken over by CIE in 1958, and closed the following year in 1959. 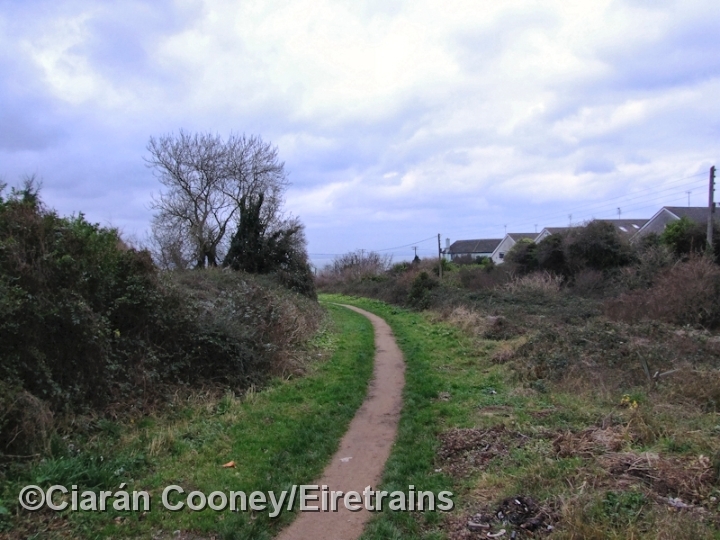 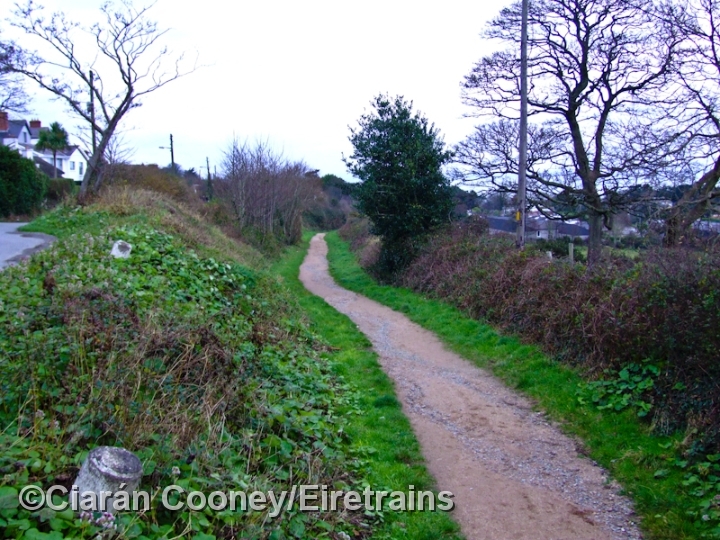 Much of the tracked of the former tram line is now a pathway, as seen here at Dungriffan Road.